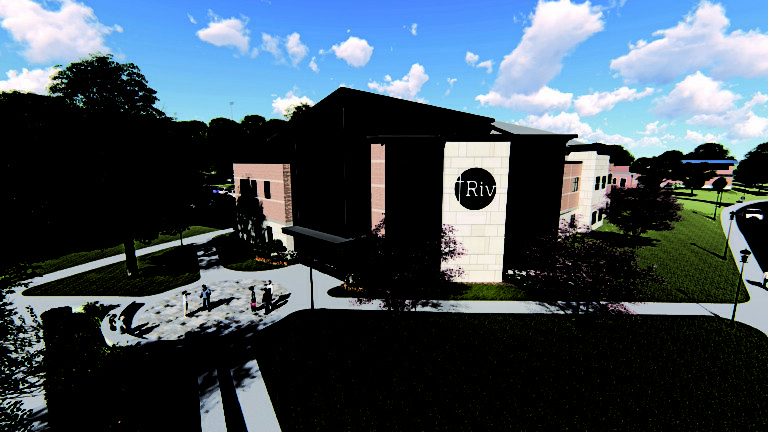 Rivier University will be breaking ground at 10 a.m. Friday to officially begin construction of its new 35,000-square-foot Science and Innovation Center, which will feature learning spaces that the university says foster experiential learning, laboratories and equipment designed to solve real-world problems, technology that brings science into the classroom, and collaborative spaces for faculty and student research. The facility will be used by students studying biology, biotechnology, nursing and public health. OnPoint Systems Inc. of Bedford has unveiled its SpotOn Virtual Smart Fence, which it says is the first and only dog containment and tracking system that allows dog owners to take their dogs and virtual smart fence wherever they go. Using patented technology and professionally developed training programs, SpotOn lets dog owners program containment areas by walking a perimeter with the SpotOn collar in hand, allowing the dog to safely be leash-free. The entire system is a collar and a phone app that connects to three global navigation satellite systems and multiple cellular networks. OnPoint is a consumer electronics company started by a team with decades of military service and military technology experience. Linear & Metric, a supplier of machined parts and mechanical assemblies based in Londonderry, has been named one of BAE Systems’ top suppliers in the firm’s ‘Partner 2 Win’ Supplier of the Year award program. The awards were handed out on April at BAE’s second annual Partner 2 Win Supplier Symposium in Manchester. Linear & Metric and 10 other suppliers received awards for best-in-class performance in achieving on-time delivery and quality standards in 2018. In addition, 58 suppliers were recognized with a Gold Tier Award, in recognition of their ability to deliver zero-defect products on time and on budget throughout the year. Linear & Metric was recognized in the Electronic Combat Solutions category. The U.S. Small Business Administration has announced a 16-stop road tour connecting entrepreneurs working on advanced technology to the Small Business Innovation Research (SBIR) and Small Business Technology Transfer (STTR) programs. Each stop on the SBIR Road Tour stop will be hosted by a local organization involved in supporting entrepreneurs in next-generation R&D. The Eastern leg of the tour will Sept. 16-20, with stops in Burlington, Vt.; Albany, N.Y.; New Brunswick, N.J.; State College, Pa.; and College Park, Md. For more information, visit sbirroadtour.com. Stephen M. Nolan has been named chief financial officer and treasurer of Albany International Corp., succeeding John Cozzolino. Nolan has over 16 years of experience in operational and strategic finance, most recently serving as CFO of Esterline, where he co-led the recently completed sale of Esterline to TransDigm Group Inc.
Montreal-based document automation specialist Integrim has acquired Logikia, a Canadian provider of accounts payable automation solutions. The addition of Logikia solution components will enable Integrim to tailor offerings optimally to the varying needs of departments across all manner of organizations, the company said. Integrim recently opened its U.S. headquarters in Manchester.